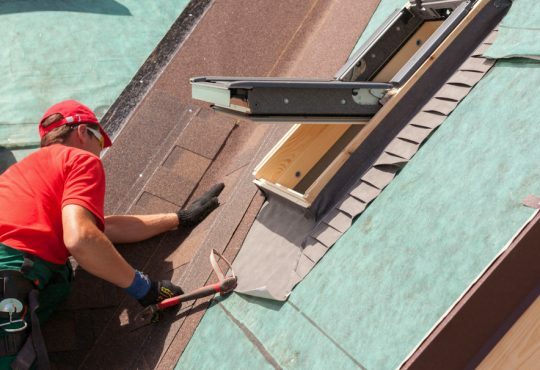 Keeping your roof in good working condition is a must to protect your home from damages. When your home gets a roof leak it can be a disaster. Even a small roof leak can cause thousands of dollars in damages if it’s not dealt with quickly. 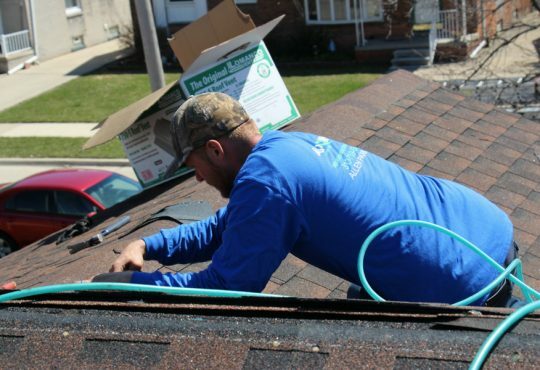 If you suspect your home has a roof leak it’s best to get a roof contractor in Downriver Michigan to come out and do a full roof inspection on your home’s roof to find and repair any problems. 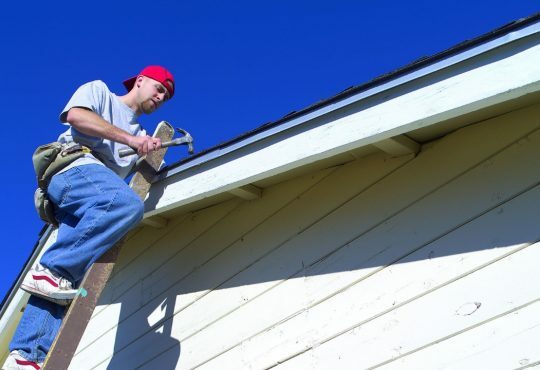 There are some things you can do as a home owner to look for roof leaks. 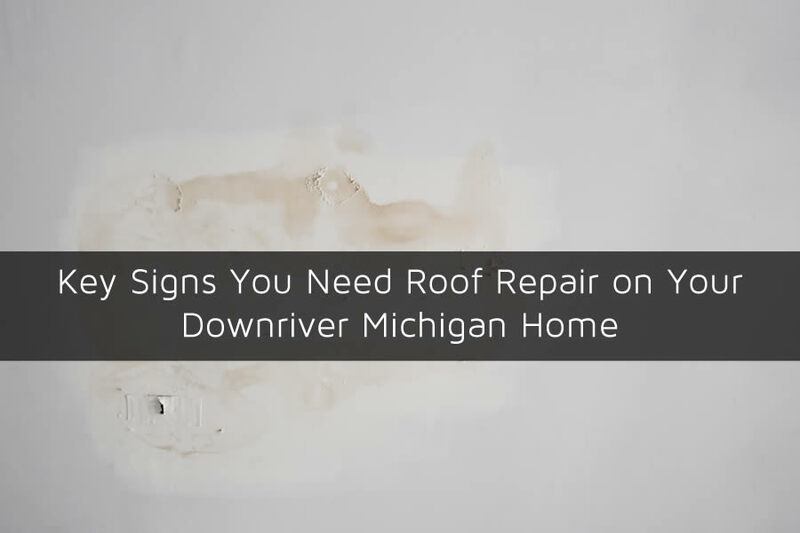 I’ll include some things you can do in this article that may help you locate a roof leak on your Downriver Michigan home. Many people think that in order to really inspect the roof and look for problems that they will need to go on the roof to look around. Actually, that’s one of the worst things you can do if you’re not properly trained. Going on your roof and walking around may actually damage the roof especially during colder weather. 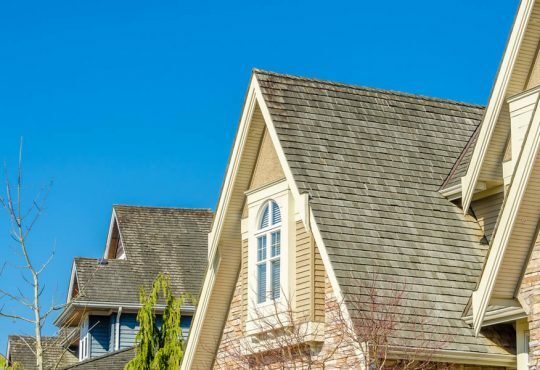 Another issue you’ll need to consider is that it’s extremely dangerous to go on your home’s roof. 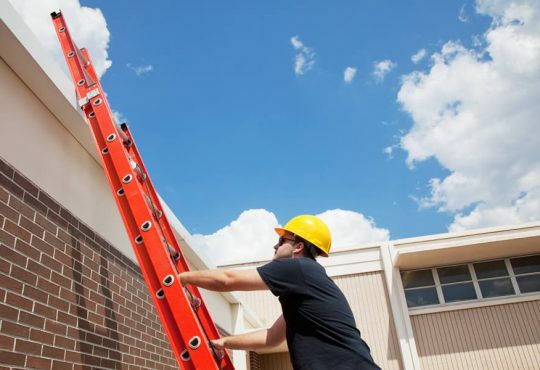 A slip and fall from your roof can be fatal. It’s always best to leave the roof inspection where you need to go onto the roof to the experts. Most of the tips below can be done from the ground and if you need a closer look, using binoculars to look at areas of the roof more carefully. A slip and fall from your roof can be fatal. It’s always best to leave the roof inspection where you need to go onto the roof to the experts. Most of the tips below can be done from the ground and if you need a closer look, using binoculars to look at areas of the roof more carefully. I wanted to add something critical that many home owners may put off and that is, if you have a problem or suspect there is a problem on your roof, don’t wait. Even if you don’t see any signs of damage on the interior of the home there may still be a roof leak. Sometimes you may need to go into the attic of the home to find the roof leak. But if you do see something about your roof that doesn’t look right it’s always best to get a qualified roofing contractor in Downriver Michigan out to check it. And if there is a problem on the roof they can usually offer roof repairs on the roof at the same time. It can save you lots of money by taking a proactive step when it comes to roof leaks on your home. Once the roof on your home starts leaking it will allow water to enter the home’s attic and then go down to the insulation on the home. When this happens the insulation will get saturated with water and start to hold that moisture against your ceiling which is typically drywall. As the drywall on your ceiling soaks up this moisture it will become damp and also start to turn a brownish tint. If you notice areas on your ceiling that have this brownish tint chances are you have a roof leak. You may also see this same type of discoloration at the top of walls as well. In larger roof leaks there may also be water dripping from the area and eventually the drywall will pull away from the ceiling and fall down crumbling from all the weight of the moisture. Another discoloration you will need to worry about is on the exterior of the home. The roofing surface itself can sometimes have problems which cause roof leaks. This type of roof leak is usually caused by storms especially if they are associated with high winds. 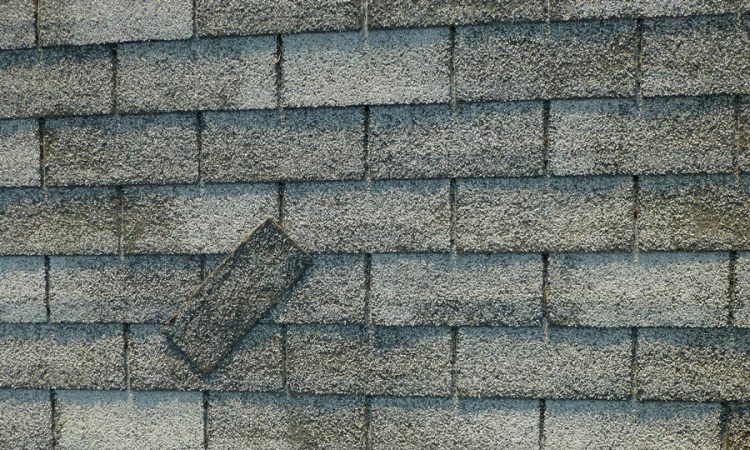 Wind can get under the shingles on your home’s roof and break them exposing the under layment of the roof. Although this may not initially cause a roof leak, it certainly will over time. Look for areas on your home’s roof that have shingles that appear missing or broken. Typically these are very dark areas of the roof and appearing square usually. 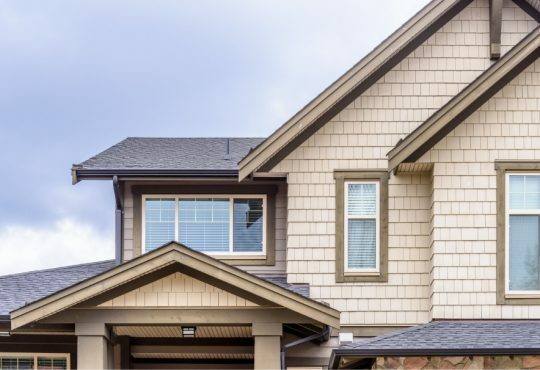 If you suspect any type of damage to your home’s roof it’s always best to get a qualified roofing contractor out to make a full roof inspection on your home’s roof. For home owners in the Downriver Michigan area the most recommended roofing contractor is All Point Construction. Give All Point Construction a call today at 734-407-7110 if you need roof repairs in Downriver Michigan.